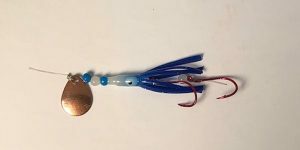 MAG TACKLE Mini Mag Colored Blade Hoochie Spinners are all made with the highest quality materials available: 10 lb line, super glow beads, hand painted super glow blades and premium hooks. Nothing but the best to ensure your fishing success. Shorten the leader to your favorite length. The shorter the leader length, the greater the action when tied to a dodger or flasher. 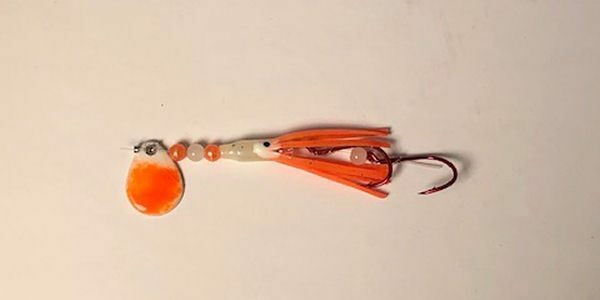 Recommended leader length is 2.5x the dodger length.MAG TACKLE Mini Mag Colored Blade Hoochie Spinners have proven deadly for Kokanee, trout, and salmon.